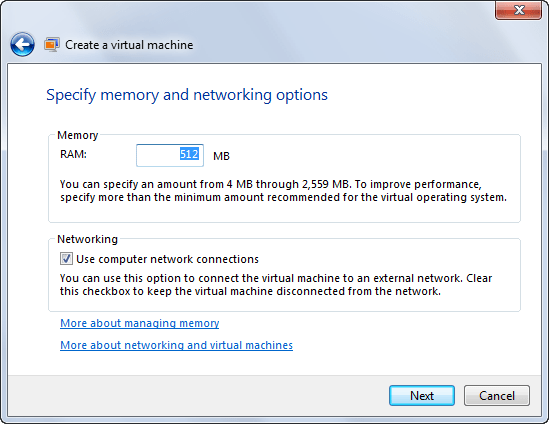 Using Virtual Machines is a great way to test software without making changes to your ‘main’ machine. 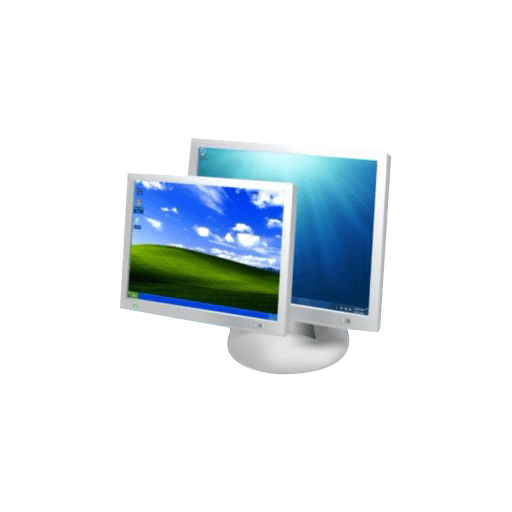 To create a virtual machine in Windows 7 without using 3rd party software you’ll need to download Microsoft’s Virtual PC. If you also want XP-mode, help yourself. Both are available here. Once you’ve installed Windows Virtual PC you’ll probably want to create other VM’s running other OS’s. 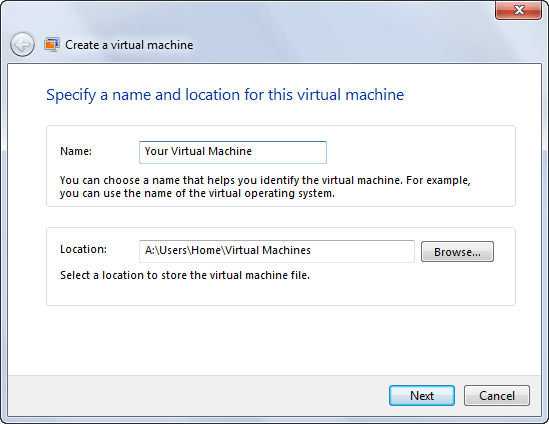 Navigate to (by default) your home folder and find the Virtual Machines folder, inside that folder on the toolbar click on Create Virtual Machine. Specify the amount of RAM you want the VM to use. I have 3GB RAM on my PC, so I’ve been using 1.5GB RAM in the VM, it works flawlessly. Uncheck the Networking box if you want the VM offline and hit Next. 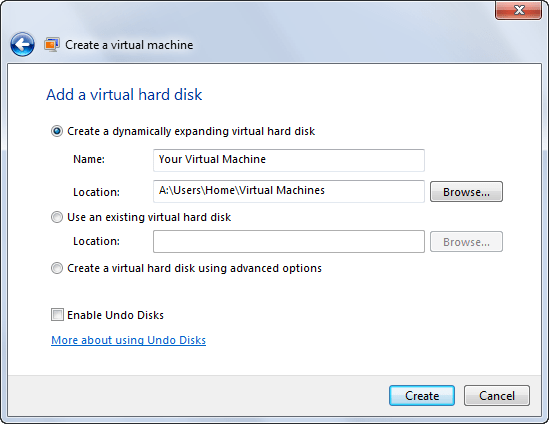 Set your VHDD preference, undo disk gives you temporary storage so you can change the VM without changing the VHDD. Click on Create. When your finished creating the VHDD you’ll need to install the OS, navigate to the VM folder again and select the newly created VM. Click on Settings in the toolbar. Navigate to the DVD Drive tab and check the Open an ISO Image radio button if you’re installing the OS from an ISO, or Access a physical drive if you want to install from a real DVD. Double click the same selection as before to power up the VM and boot from the ISO/DVD, proceed through the installation as normal. Of course, Windows XP mode isn’t all that great, since quite a few features of XP simply aren’t there. Either VMWare’s solution or Virtualbox work better, IMO, in most regards, although M$’s XP Mode does integrate with the host OS a little more thoroughly without having to jump through a bunch of extra hoops. Still of the three, Virtualbox seems the easiest to use when implementing a full-featured XP VM. YMMV, of course, but for my uses, having ALL of XP’s features available is more valuable than having just the “mostly XP” that’s installed with M$’s VM. Of course, I guess I could probably install a full installation (from a spare full XP install CD that’s not yet been on a machine) in a M$ VM environment, couldn’t I, just as I did with Virtualbox? Yeh, could do, but my Virtualbox VMs already hold a couple of Linux Distros as well as XP, so uninstalling the M$ Virtual PC software from my Win7 Pro install wasn’t a big step for me. Since M$ Virtual PC, VMWare Server and Virtualbox can all be had for free, I suggest folks download and try ’em all to see which suits them best.